This week's pregnancy update is a little different from the previous updates I have been writing weekly. For one, it's posted much later than all the others and two I am just going to be talking about what I have been up to and how I have been feeling through the week. You may know that for many schools in the UK it's still the Easter holidays, the last week! My partner had booked a hotel in Llanelli, South Wales for us all to stay in for the night and we ended up going to Cardiff the next day and ended up staying the night there too. We spent 3 days down South Wales and we all really enjoyed ourselves. You can read about day one and two in South Wales here. On our 3 day break we walked a lot. Around this time last year I walked a lot but then I stopped, I am not sure why because I really enjoyed walking. I do struggle walking a fair distance at the moment because I just feel so heavy and get out of breath quickly. Our third day we visited Sain Fagans, which again was unplanned but turned out to be a fantastic day. We spent roughly 3-4 hours of walking with a few little breaks in between. After that we had a 4 hour car journey back home, which also tired us all out. On our stay I had noticed on the Monday Baby boy hardly moved. I felt a few kicks here and there which totalled up to about 10 or less during the day but he usually moves a lot more than that. The following morning he moved a bit more but still not as much. Since arriving home he has been moving around and kicking all day, so I think because I have been so busy those three days I may have just not realised baby boy moving or kicking as much. I also used a home Doppler, not to hear the heartbeat but to hear Baby boy moving and I could hear him very clear and then without trying heard his healthy heartbeat. I had no appointments this week, I cancelled my midwife appointment to take bloods because we had an extra night in Cardiff so was unable to go. But I have my GTT (diabetes) blood test and OC blood test next Wednesday. Which I will update you all next Friday. The only symptoms I have had this week really is extremely sore breasts and shoulder pain which I looked up and says it is very normal. Our three day break has tired me out a lot but no relaxing when you have two other kids to look after, is there? Mia will be at her Dad's Friday evening until Saturday evening so I am hoping to start sorting out the girls toys and start on Baby boy's nursery during the day on Saturday (if Elliw will let me!). The other symptom I have been getting is some tightening's which I am guessing is the start of Braxton hicks. They can be quite uncomfortable. It's always such a worry when you don't feel them move as much! Both mine used to scare the hell out of me and then I realised that it was just their pattern! Perhaps it is a boy thing? It may be a boy thing?! Since being home he hasn't stopped moving though - the little bugger haha :) I feel like it's flying by now too. Going a little too quick right now haha but I can not wait to meet him. 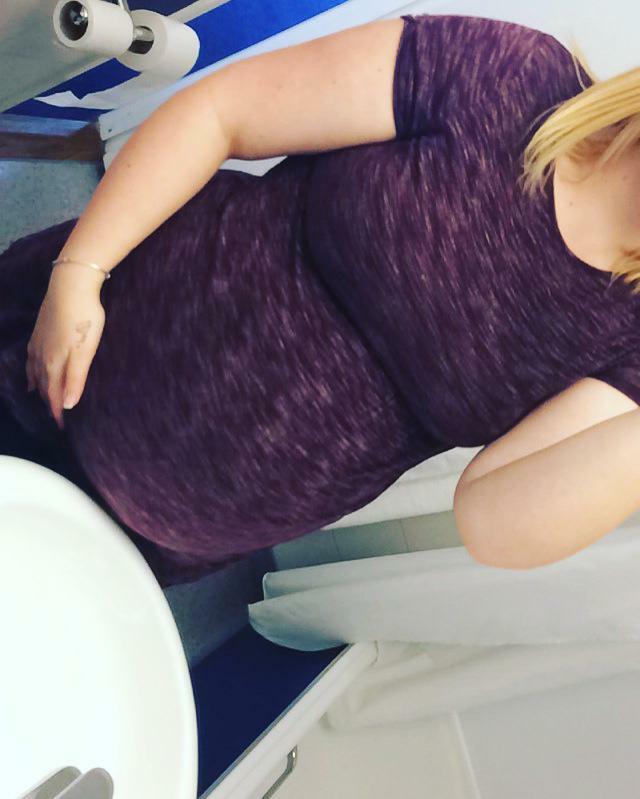 Can't believe you're at 24 weeks already! Its so worrying when they don't move as much isn't it? Jack did it to me too! 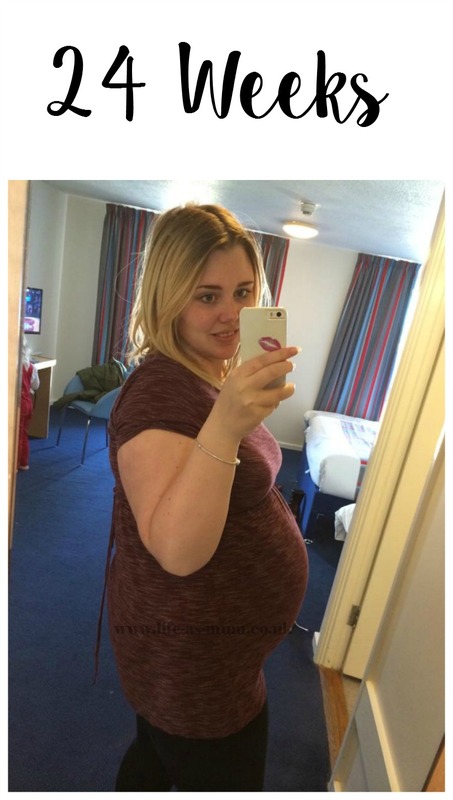 Oh I lovely pregnancy updates - takes me back to when I was carrying the girls! Hi Beth, it sounds as if you had the perfect mini break. You are bound to find walking tiring at the moment especially a four our one followed by a long car journey. I bet you slept well that night! I hated Braxton hicks, the whole sensation of them was horrible. I remember when our babies didn't move for a while in the womb - It's so scary! Glad to hear that things were fine. I remember getting really worried when my third stopped moving. Went went in to hospital for a check up but thankfully all was ok. Hope all goes well. Looking great! A doppler at home would have been such a handy thing when I was pregnant, great idea - very reassuring when baby isn't moving as much as you're used to. I remember braxton hicks, they can be quite painful. Such a great way to look back at your pregnancy. It's so scary when you feel reduced movements, isn't it? I remember during my pregnancy I hadn't felt the baby move for ages. I was panic stricken and we were just heading up the hospital when she kicked (and carried on all night). I naively said to my hubby "it will be less worrying once she's out because you'll be able to just LOOK at her to see she's okay". Hah! Less worry once she's born! I am an idiot! Naw thank you for sharing this journey with us, I can't wait for the next update! Glad you managed a nice family vacay over the Easter hols; it's so important to rejuventae and reconnect. Just been introduced to this linky and your blog - thanks for hosting! Good luck and looking forward to more bump and baby news! I hated it when movements slowed down - so worrying! Mine were always the same though, quiet when I was busy and would start kicking away as soon as I sat down! I think the movement rocks them to sleep! Sounds like you had a lovely trip to Wales, and you're looking great! I found myself not really noticing how often my third moved in pregnancy as I was too busy running about after the others. I always used to find that I wouldn't feel so much movement if really busy, either, especially with second when had first to look after too. I think it's quite common - partly not noticing so much due to being busy, and partly babies' tendency to be lulled to sleep when mother is more active! Thanks so much for linking up at #KCACOLS. Hope you come back again next Sunday. & visiting from #justanotherlinky too! Thanks for hosting!